I almost skip an outfit post today because I did not going anywhere today. You know, period. So I just stay at home all day to get some rest. I am lucky that I have the pictures above taken from months ago that I am not posted yet. So I still have an outfit post today, yaay. 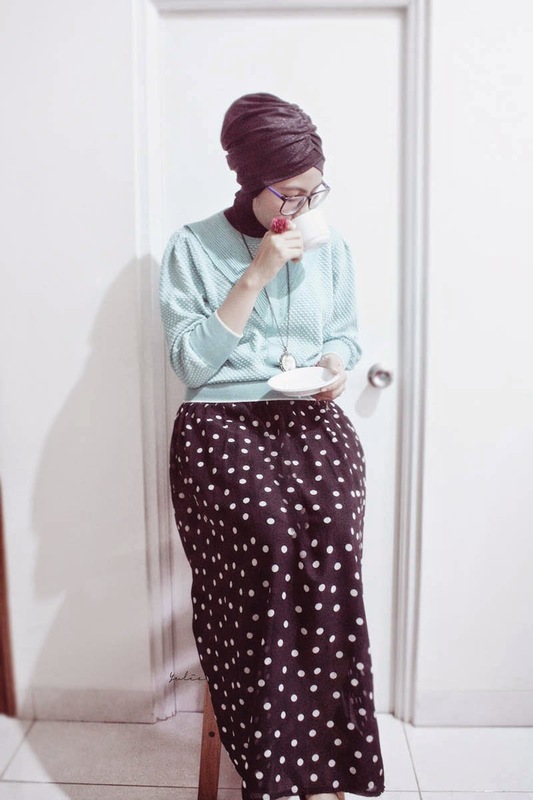 I was enjoying my afternoon tea after going back from somewhere and decided to take some picture because I felt so vintage that day. 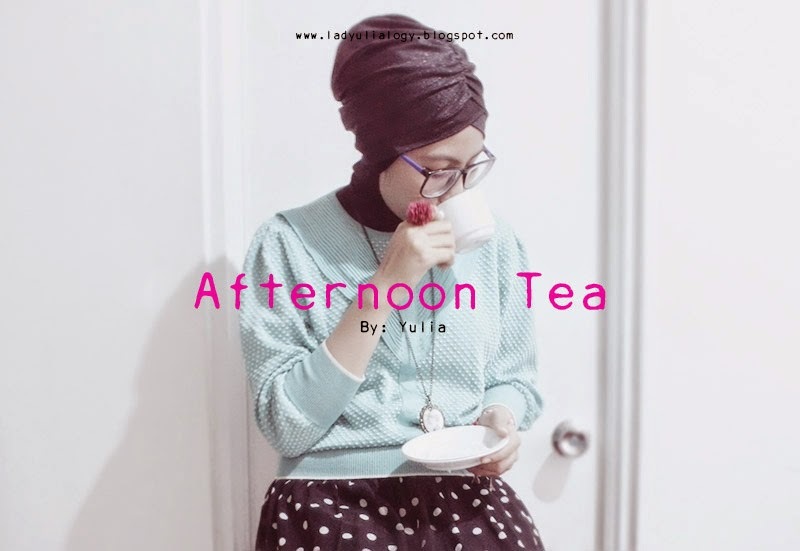 Anyway, it's been so long that I did not wear turban to go outside now, writing this Afternoon Tea post make me wanna wear turban as soon as I can. Oh, I hope my period crump will get better soon. I'm going to sleep now. Bye.